I have 15 minutes before I leave for school, so coffee in hand, I am attempting to express-post! I didn't feel very inspired to draw anything but patterns over the weekend, clearly I was missing a muse. Luckily I found one yesterday whilst I was changing my bed.......yep........the new quilt cover (in shades of green + white, of course) that I bought about 6 months ago and finally opened up now that the warmer weather is here - *love*. My muse for the day. 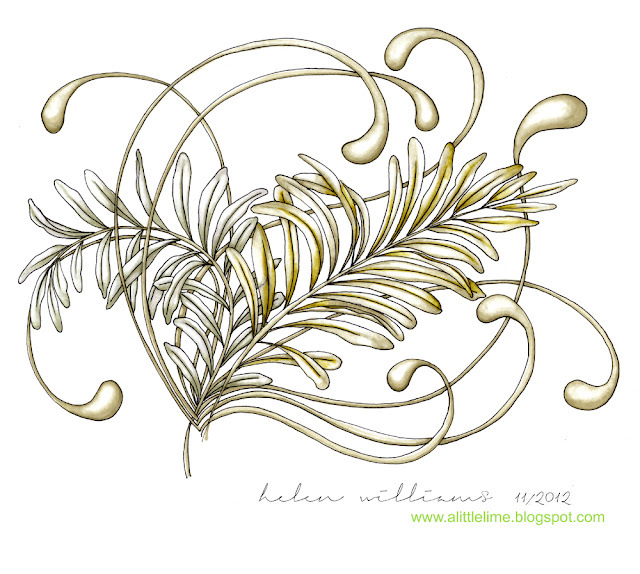 The drawing - loved playing with shades of grey/green for this one. And also adding my best friend - mooka! Playing with colours to get the right mix. I went with the silver green/grey for the back leaf (frosted leaf/warm grey 1) and warmer greens for the front (pastel beige/khaki with touches of moss). Plenty of blender, too. 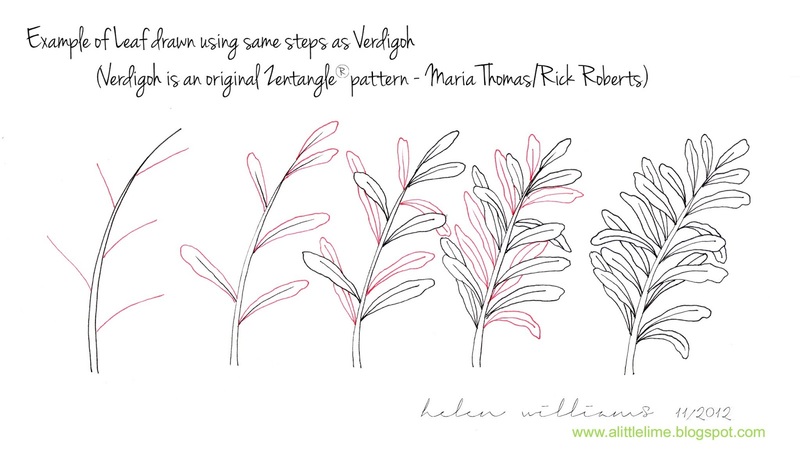 I drew my leave freehand, but when I looked at them afterwards I realised they could easily be broken down and drawn using the same steps as Verdigoh (an original Zentangle pattern). Just keep it a bit looser. I have drawn out an example below. I love this very much. 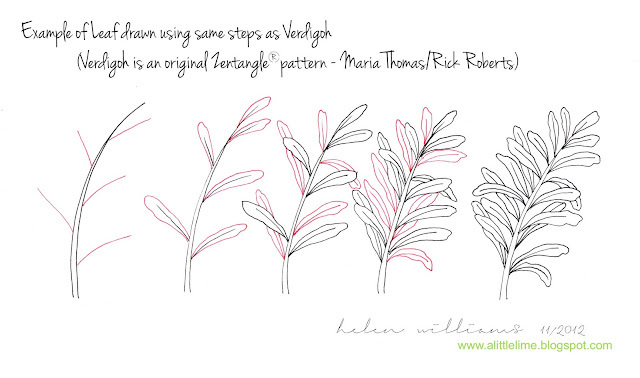 Also the tutorial about drawing and colouring the leaf. Thanks. I'm sure you realize just how helpful you are to us wanna be artists. But in case you didn't know it, I thought I would take a moment to say Thank you! What an awesome inspiration you are. I open your blog daily and marvel at your beautiful work. Thanks! Thank you so much for all the info on your page. I'm starting as a teacher of doodles and your inspiration is so helpful!